Malibu, CA is one of the most exclusive beach communities in the United States, if not the world. 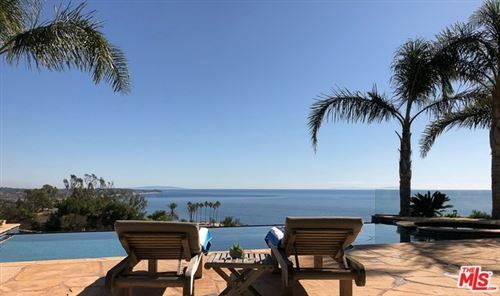 Situated just outside of the city of Los Angeles, Malibu is home to many well known celebrities, musicians and professional athletes, as well as people who just love the scenic beauty and beach lifestyle that Malibu offers. In addition to living so close to the beach, Malibu residents also enjoy the many great restaurants and shops along Pacific Coast Highway (know as “PCH” among the locals), and recreational opportunities such as boating and surfing. Another great benefit to living in Malibu that the greater Los Angeles area does not have, are cool ocean breezes that provide natural air conditioning during the hot summer months – stay comfortable year round! Real estate in Malibu varies from luxury oceanfront estates, to condominiums to large properties in the hills above the ocean with acreage. As for pricing, homes in Malibu and vary from around $400,000 for a condo, to $20,000,000 or more for an oceanfront luxury estate. Below is a partial list of Malibu real estate for sale, which is updated daily. If you would like more information on any of these properties, please give me a call at (310) 717-2232 or you can leave your contact information on my contact form and i’ll get back to you within 24 hours. See all Malibu Homes For Sale.